Unless you have been under a rock over the past 12 months you have noticed the rise in frequency of domestic violence issues in professional sports. Like it or not professional athletes are “role models”. They may not have signed up for the title, but because they are seen on television, in magazines or any other social media site or app, they inherit this responsibility. People look up to them as heroes, right or wrong, they are seen as super human. 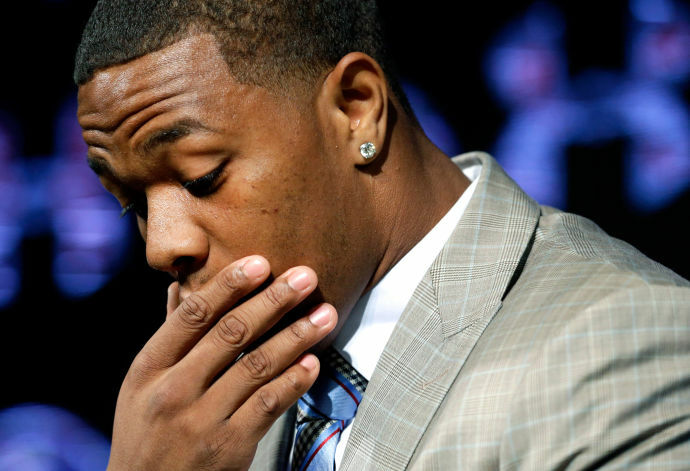 Ray Rice (knocking out his then fiancé now wife in an Atlantic City hotel), Greg Hardy (throwing his girlfriend on a couch full of loaded weapons) or Hope Solo (beating up her sister and nephew) have all been thrust into the bright spotlight, not for their athletic prowess, but because they decided to put there hands on their spouse, significant other or relative. This is nothing new, it is just reported differently now with the surge in social media, with everyone having a phone and recording at all time. There is no longer a 2-ton elephant lying dormant in the closets of locker rooms of professional sports. This is a problem that has affected thousands of families every year. Why the spike in domestic violence in sports? How can professional sports play a leading role is addressing the issue? The first answer is simple, the boom in social media. Gone are the days of seeing your favorite athlete on the field, court, ice or pitch. Instead you see them in their homes, with their friends and family, on a trip to Turks and Cacaos. Fans now more than ever are a part of their lives. For the most part they welcome the social attention. It is only when a surveillance video is attained by TMZ that they want to run away from the limelight. 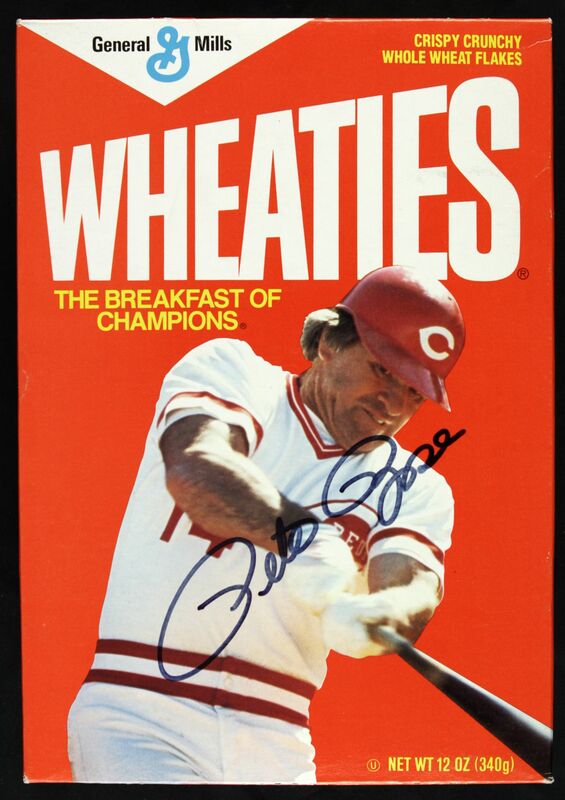 Fans are now privy to the underbelly of athletes; they are no longer just pictures on Wheaties boxes that people can idolize. The second question is a little more tricky, but very manageable. The quick easy solution is to have a united stance on the issue. 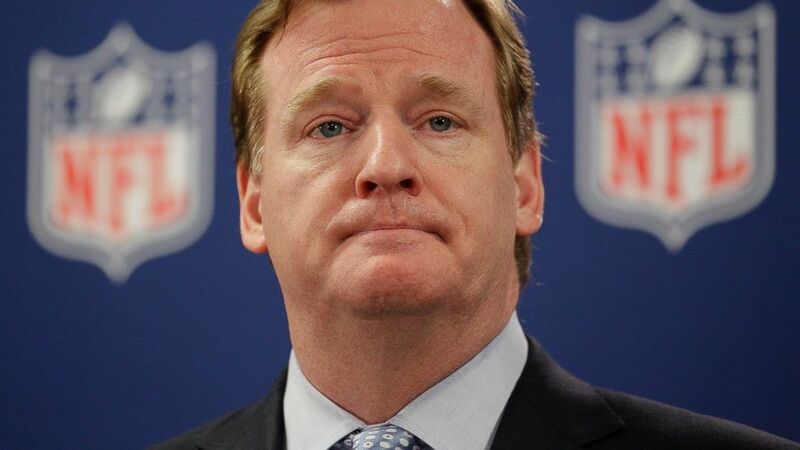 They cannot continue to pass the buck or as the commissioner of the NFL admitted, continue to be ignorant to the depth of the problem. He has spent the majority of his adult life around professional athletes and owners. I find it extremely hard to believe that he did not understand that this problem existed. If he wanted to be completely transparent he should have said that it has been swept under the rug for so long and now we must address it. I found his excuse extremely patronizing. It has long been stated that if you are a great player the rules are bent for you. That needs to change, especially when it comes to the issue of Domestic Violence. No longer can these leagues hid behind “He/She is a great asset to our team.” they are not an asset if they are beating on their spouses, or anyone for that matter. Am I an asset to society if I am beating on my wife? The police and court systems would not say so. My employer certainly would not have mercy on me. I would be fired the next day. Athletes on the other hand seem to play by a different set of rules. They are given every benefit of the doubt and held onto like a precious stone. Take the San Francisco 49ers and Chicago Bears for example. The 49ers supported Ray McDonald throughout his entire year domestic violence issue. McDonald was initially arrested in August 2014, but played in 14 games the following year. 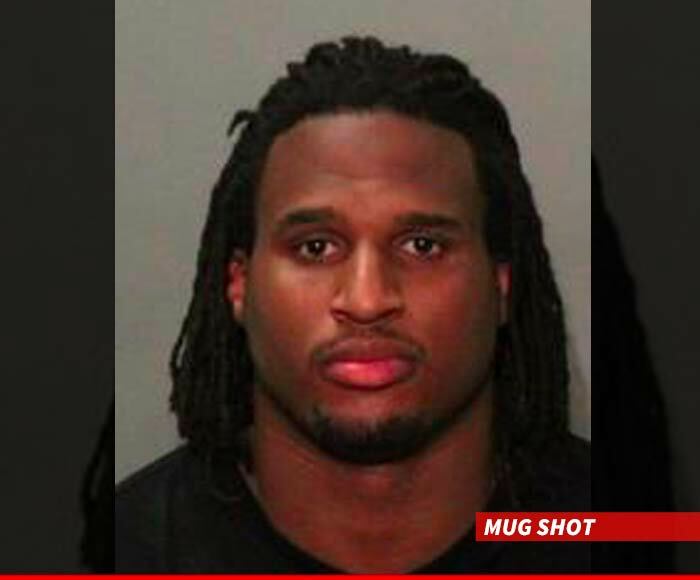 In December he was named in a sexual assault case and subsequently released by the Niners. The Chicago Bears then decided to get into the mix and signed McDonald in the offseason. He was promptly arrested again for domestic violence and child endangerment. Just three days later he was arrested again for violating the restraining order filed against him. The Bears released him immediately after learning of the incident. This is a clear case of someone getting the benefit of the doubt because of his or her abilities on the field. Hope Solo competed in the Women’s World Cup this year while a domestic violence case loomed over her head. The only reason she played is because she is the best goal tender in the world right now. Every professional sports organization needs to take a stern look in the mirror and ask if they are doing all they can to educate their “employees” Are they ignoring a societal issue in lieu of wins on the field. Fans have voiced their displeasure with the current trend, and the teams need to tap into that. Here in Charlotte, it was common knowledge that the majority of fans were not happy with the Greg Hardy issue. Hardy played in only one game last season for the Panthers, all while continuing to be paid his 13 million dollar salary. He was not resigned by the Panthers and is now a member of the Dallas Cowboys. It remains to be seen how this will turn out for Hardy, but the statistics are not in his favor. This issue will continue to grow and grow if organizations are not diligent in addressing the problem immediately. Comments and thoughts are always welcome. Great blog, and it’s good that you are bringing awareness to this situation. It’s unfortunate that domestic violence isn’t taken as seriously for athletes as it in for regular citizens. kevin kizer on Marvel wins again!